For most of this time the Greeks did not have a single government or ruler. There were a number of city states, each with its own constitution. Athens, Sparta and Corinth are examples. Some had kings, and some, like Athens, had a form of democracy. As time went on, the most powerful cities collected other cities into confederations known as "leagues". This applied to many of the Greek colonies in Asia Minor, most of which had close ties to one or other of the big three cities. Citizens in Ancient Greece were usually men who were free-born in that city. Women, slaves and (usually) residents born elsewhere, did not have the right to vote. Details differed between cities. Athens is an example: The men of Athens were of three groups: citizens, metics (resident aliens) and slaves. Citizens were men (over 17) whose forebears had been Athenians for three generations. They had the rights of free men and could be elected any official state position. "Of the estimated 150,000 residents of the city state of Attica, only about one fifth held the privilege of citizenship". Women were not citizens in Athens, but in Sparta they were. After the Persians were defeated at Platea, the Spartans did very little. However, Persia was still dangerous. Athens asked the Greek cities on the islands in the Aegean and in Anatolia to join her. These cities agreed because they were afraid of Persia. These cities formed the Delian League and Athens was their leader. Many of the cities had to pay Athens tribute money. 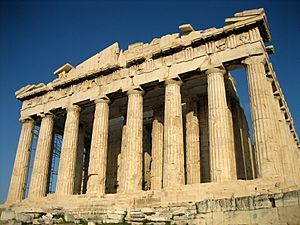 Athens used the money to build many ships and the Parthenon. Sparta was still strong on land, but Athens was stronger on the sea. Several times there was war between Athens and Sparta. Then Athens decided to send many ships to Sicily to fight against the city Syracuse. Sparta sent help to Syracuse, and Athens was defeated. None of the Athenian ships came back. Now Sparta decided to build ships to fight Athens. It took a long time for Sparta to defeat Athens but then at the Battle of Aegospotami the Spartans destroyed most of Athens's ships. The Athenians used a highly advanced type of ship known as Triremes. These highly advanced battle craft had sophisticated combat systems, and were propelled by oarsmen. On the front of the Trireme was a large bronze ram. The Trireme would row itself at an enemy boat very fast, and ram a hole into its hull. This was the most effective way for the Trireme to destroy other boats. Sometimes, the soldiers (called hoplites) on the Trireme would board the ship and keep it for their own. 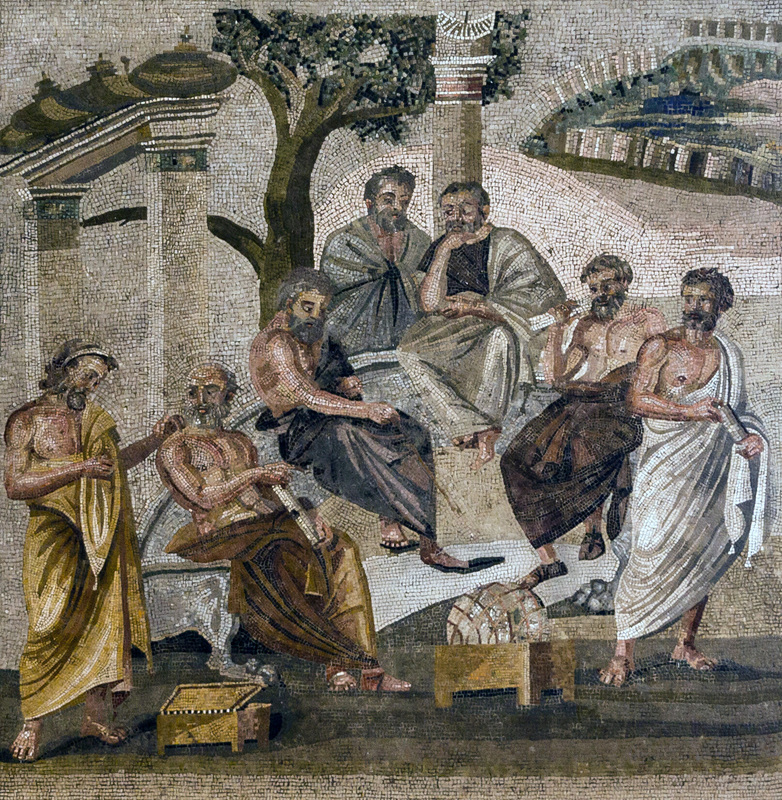 Men, if not working, fighting or discussing politics, could, at festival times, go to Ancient Greek theatre to watch dramas, comedies or tragedies. These often involved politics and the gods of Greek mythology. Women were not allowed to perform in the theatre: male actors played female roles. The rules for girls in Sparta were different from other cities. They were trained in the same events as boys, because Spartans believed that strong women would produce babies that would become strong future warriors. Ancient Greece Facts for Kids. Kiddle Encyclopedia.